So why consolidate? Power. Consolidation centralizes control in Augusta. 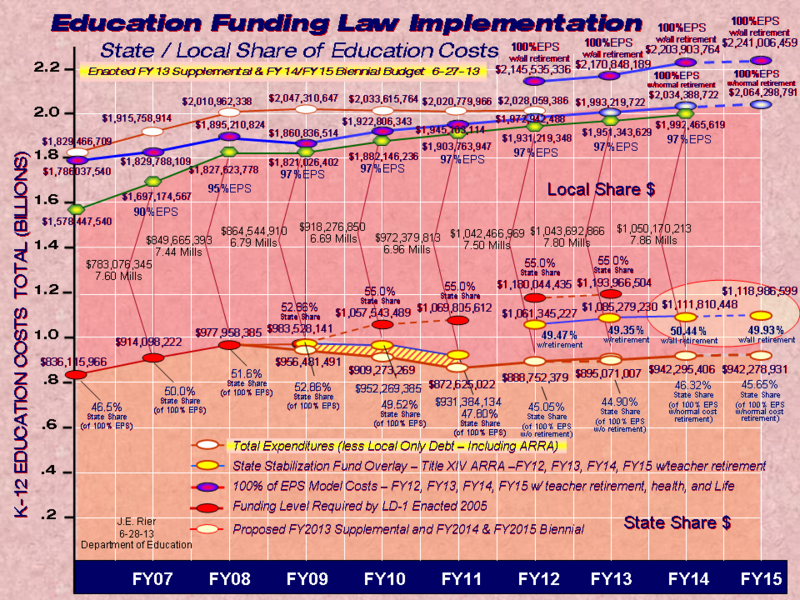 Fewer school boards, superintendents and local education advocates mean more state control of education policy and funding. When Governor Baldacci cooked up this latest consolidation plan, he tried to tell voters it was in their best interest. When that failed, he put a gun to their heads, threatening penalties if consolidation plans were rejected at the local ballot box. Citizens in more than 100 districts have rejected consolidation and now face penalties of $5 million next year. This is the equivalent to trying to buy a vote, which is supposed to be illegal in our democracy. 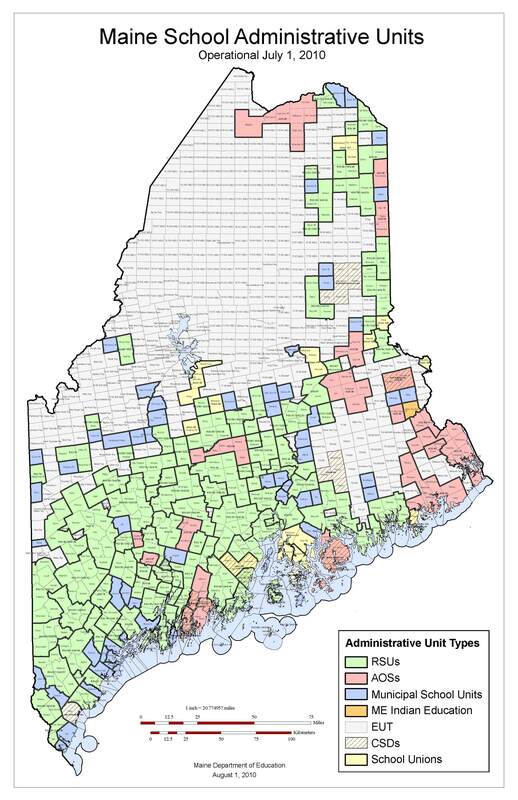 If that bully tactic is not enough to reject consolidation, consider the fact that 66 school units, many in the highly populated Southern Maine counties of Cumberland and York, are exempt from the law. So while most of rural Maine wrestles with the consolidation mandate, most of the highly populated urban districts take a free ride. To view a map of Maine with exempt districts, (MDIschools.net) and those fighting consolidation, one would think they were viewing a map of a military battle with the front lines running from Rumford through Bangor, down east to Mount Desert Island and north to Fort Kent. It is outrageous for state government to employ such a discriminatory policy where the governor and his administration can pick and choose who will consolidate and who will not. And those choices are hurting the rural parts of Maine that can least afford it. Then there are the false promises. The law was supposed to reduce Maine’s 290 districts to 80 by July 1 of this year, but 218 remain. Sixty-six districts, representing 55% of the state’s enrollment, mostly in Southern Maine, received exemptions from consolidation. Another 126 voted down consolidation plans. Twenty-six new districts were formed. There was also a promise that $36.5 million would be saved. So far, there are projected savings of less than $2 million and many towns in consolidated districts are seeing their tax rates go up. Pownal, for example, saw a 25 percent tax increase Durham 19 percent and Alna 33 percent. While towns are losing money, Gov. Baldacci is soliciting contributions from his big corporate friends to fight repeal. Nestle Corporation, bottlers of Poland Spring water, LL Bean, Hollywood Slots, Coca Cola, and the New Hampshire paving company, Pike Industries, that paved Interstate 295 between Topsham and Gardiner, are just a few of the corporate contributors. Someone needs to ask what do they expect from the Governor for their support? Would the Chamber’s position in support of consolidation change if the Legislature passed a bill that mandated all retail stores with less than 20 employees had to consolidate with a big box store, or face severe penalties. Obviously, the Chamber would react with outrage and most likely file a lawsuit claiming discrimination. So why has the Maine Legislature and Governor Baldacci gotten away with subjecting our community schools to such a heavy handed, one-size-fits all discriminatory policy? We need to right this wrong and repeal consolidation by voting Yes on Question 3 on Nov. 3.